(CNN) - In preparing for the re-launch of Crossfire, we discovered this interview in the CNN archives. In November of 1982, Crossfire host Pat Buchanan sat down with his former boss, ex-President Richard Nixon. Their conversation touched on many of the famous people Nixon had known, including Dwight Eisenhower, the Kennedy brothers and Lyndon Johnson. Nixon also reminisced about being Vice President and disclosed what he looks for in any president. His picks for the three best politicians of the 20th century probably will surprise you. Washington (CNN) - Here's something to think about the next time you're waiting in the airport security line: According the Republican Congressman John Mica of Florida, the people who are supposed to keep air travelers safe – aren't. Mica ought to know: He's now the Chairman of the House Transportation and Infrastructure Committee. On the House floor this morning he begged members of Congress to get classified briefings on the Transportation Security Administration, the TSA. 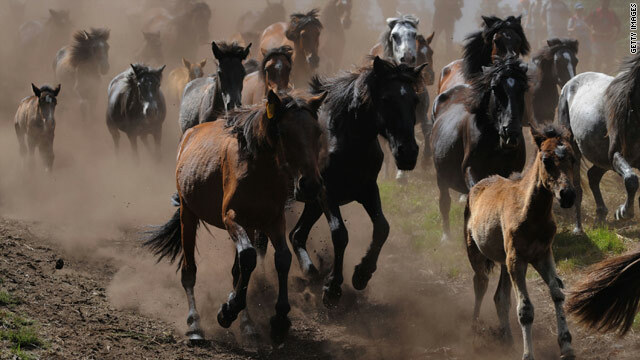 Washington (CNN) - The issue of dragging wild horses away was the topic of a House floor debate Wednesday. Wild horses and burros, actually. Indiana Republican Rep. Dan Burton says the Bureau of Land Management (BLM) needs to saddle-up and find a better way to manage the horses and burros that graze public lands. The holding pens they're put in are expensive and Burton wants to cut $2 million from the "Management of Lands and Resources" account of BLM. 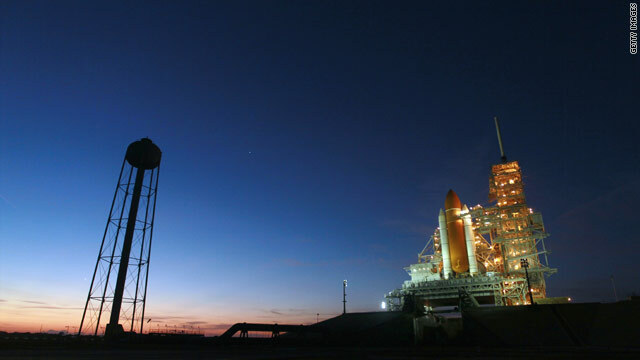 Washington (CNN) - While the Senate didn't do much today, it did vote to keep aeronautics in the domain of the National Aeronautics and Space Administration (NASA). 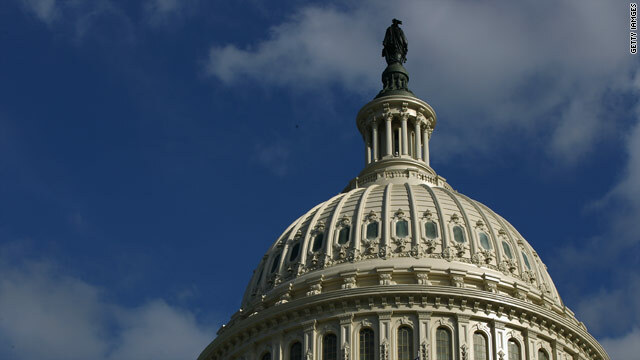 A bill reauthorizing the Federal Aviation Administration would have set up a committee to study whether civil aeronautics research and development should be done by other federal agencies. (CNN) - It was shortly after midnight ET when South Carolina Governor-elect Nikki Haley stepped before her supporters in Columbia. "Trust me, we wanted to be here earlier than we were," she told them. Then, waving both arms, she exhorted the crowd, "But get excited!" (CNN) - As the dust settles in Connecticut's U.S. Senate race tonight, there is talk of unity but also some residual sparring over money. Republican Linda McMahon, a former pro-wrestling executive, defended her decision to spend tens of millions of dollars of her own money on her campaign, calling it, "An investment that I hoped would be for the people of Connecticut." "I believe I delivered," McMahon told reporters, "I absolutely do believe that we have Washington listening more and hopefully, we have our state legislature listening more." CNN - On a night of jubilation among Republicans and Tea Party activists, Florida Senator-elect Marco Rubio sounded a note of caution during his victory speech: "We make a grave mistake if we believe that tonight these results are somehow an embrace of the Republican party. What they are is a second chance: A second chance for Republicans to be what they said they were going to be not so long ago." Rubio, a Republican who won a three-way race against Democratic Congressman Kendrick Meek and an independent bid by Governor Charlie Crist, told his supporters in Coral Gables, "Our nation is headed in the wrong direction and both parties are to blame." (CNN) - "We were victorious." Those are the words of Republican and Tea Party favorite Christine O'Donnell in Delaware. Rand Paul: "We've come to take our government back"
(CNN) - Senator-elect Rand Paul says he has a message from the people of Kentucky: "We've come to take our government back." In his victory speech tonight, Paul –a Republican as well as a favorite of Tea Party activists across the nation - declared, "Tonight there's a Tea Party tidal wave." (CNN) - During his victory speech tonight, newly re-elected South Carolina U.S. Senator Jim DeMint declared, "I can almost feel the ground shaking here because there's an earthquake election going on all over this country." DeMint, an conservative Republican who has supported Tea Party candidates across the country, told supporters, "The biggest tea party to date is today."